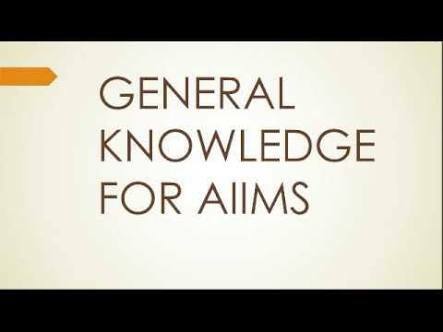 The best medical college in India AIIMS (All India Institute of Medical Sciences) has its own entrance exam, since it turned down NEET. This was because they felt this will bring down the standard of their exam. 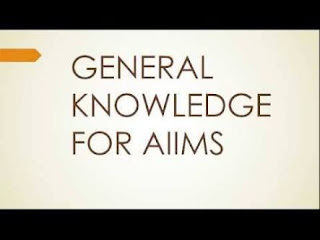 In the AIIMS entrance exam, there is a section of GK which accounts for 20 marks with negative marking. Many students do not consider General Knowledge as important as Physics, Chemistry and Biology. But GK is not only significant in this exam but also in your life. Students need to prepare for GK too. The questions can be from any areas like movie awards, political science, Nobel Prize winners, sports etc. Considering the previous years’ question papers, it has been realized that scoring well in GK isn’t very difficult.